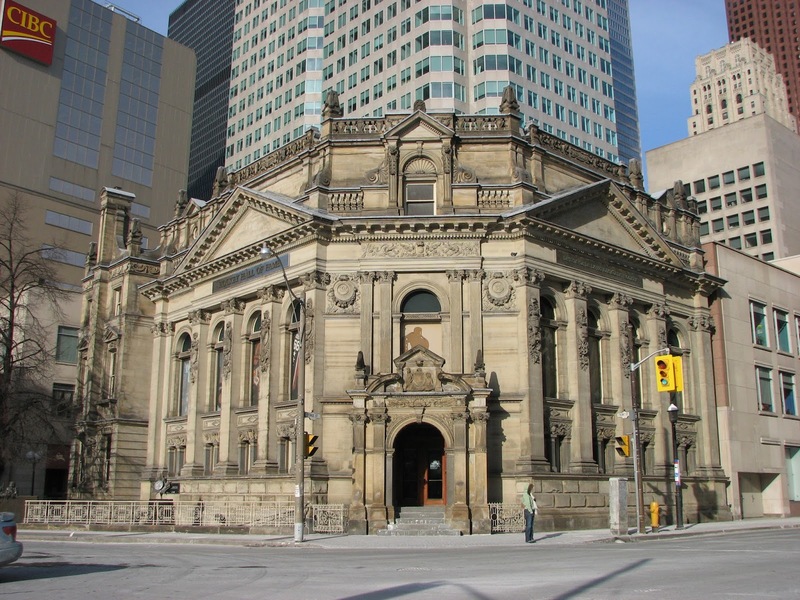 In 1993, Toronto's Hockey Hall of Fame moved into a new Brookfield Place location. 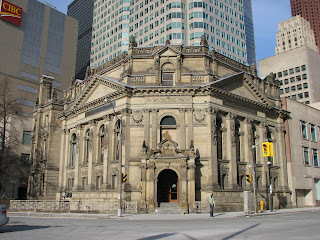 The building chosen for the location was built in the early 1900s and was formerly known as the Bank of Montreal. But, before the Hall of Fame could officially open for business on June 18th, it would need a massive overhaul. A $27 million renovation turned the former bank building into a state of the art sports showplace...and it might also have stirred up its resident ghost. For over 50 years, visitors and staff to the building have reported encounters with a ghost they called 'Dorothy'. Dorothy was rumored to have been a young teller who committed suicide for any number of reasons, including stealing money, knowledge of an embezzlement plan by bank officials, or involvement in the planning of a bank robbery by the Irish Republican Army. Others believe she committed suicide over a jilted love affair. And in fact, that's what seems to have been the case! In 2009 the local Star newspaper researched the ghost of Dorothy and uncovered her true identity. 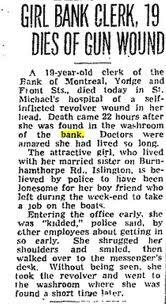 Dorothy was really Dorthea Mae Elliot, a 19 year old employee of the bank. Co-workers described her as a tall, buxom brunette who was very outgoing and friendly. However, the beautiful life of the party was not as happy on the inside as she projected on the outside. On the morning of Wednesday, March 11, 1953 she showed up to work early. Those who were the last to see her alive noted that she was wearing a blue knitted dress, and looked 'distressed and disheveled'. Around 9am she came downstairs and quietly took the bank owned pistol from the security desk and made her way back upstairs. No shot was heard, but shortly after 9am she was found in the second floor women's bathroom by a co-worker. Dorthea was still alive as ambulance workers carried her downstairs with the help of a wooden Windsor-style chair. She died 22 hours later at St. Michael's Hospital. A newspaper article that ran at the time of her death noted that she was lonely and depressed over her boyfriend leaving her for a 'job on the boats.' Those close to the situation, however, believed that Dorothea was actually despondent over the soured love affair with a married bank manager who kept an apartment in the building. Since that day, people have experienced a host of paranormal activity in the building, contributed to 'Dorothy'. Windows opening and closing, lights flickering on and off, phantom footsteps, ethereal moans, and ice-cold touches are just some of the ways 'Dorothy' makes her presence known. She's also been seen by a few select individuals, most notably musician Joanna Jordan, who was playing the harp at an event when she saw a brunette woman staring down at her from the second floor...and a little boy visiting the Hall of Fame with his family who reported a woman with long, black hair walking through walls.